MSIP activities align to the National Science Education Standards as well as build essential 21st Century Workforce Development Skills. The MSIP resources included on this page provide educators and student teams with the necessary information needed to complete the project. Choose the format you intend to use and download resources. MSIP staff can assist you if you have any questions. After working in their classes to submit a proposal, students spend 3 days at the Mars Space Flight Facility located on the campus of Arizona State University, Tempe, Arizona. Students receive the Mars image they chose to take, learn how to use image-processing tools to enhance their image for better scientific study, and prepare peer-tutoring presentations for students at their school who were unable to travel to the facility. In the on-site format, students complete the project in five steps, which your MSIP Coordinator will cover in the initial orientation phases of the project. Please contact an MSIP Coordinator if you have questions about these five steps. 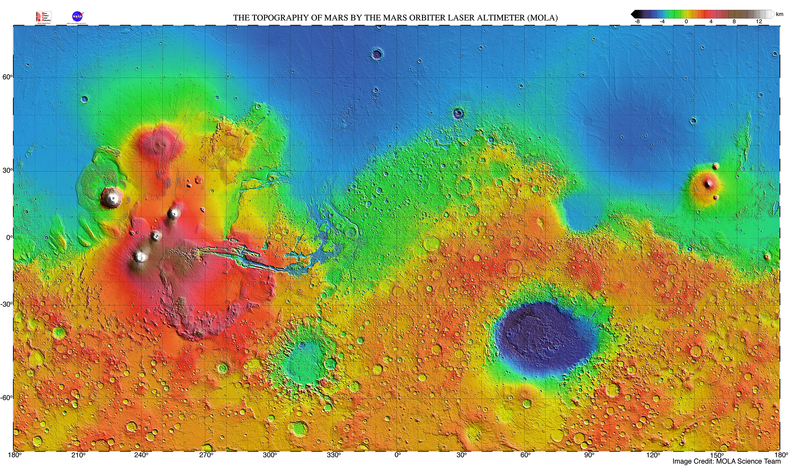 Mars Image Analysis is the centerpiece of the Mars Student Imaging Project. Students will build 21st Century Skills in this newly aligned and redesigned NGSS (Next Generation Science Standards) and CCSS (Common Core State Standards) activity. Educators and MSIP team leaders will achieve the following goals in implementation of this lesson. building background knowledge and research skills using a particular Mars area of research. Included below is a PowerPoint Presentation guiding the first few exploratory phases of the Mars Image Analysis lesson. Educators and MSIP team leaders are welcome to download and edit this document to fit their classroom style and speaker notes have been included to aide the facilitator during the lesson. The THEMIS Image Set Gallery will link you directly to a visual gallery of the THEMIS Image set used in correlation with the Mars Image Analysis lesson. Your MSIP coordinator will discuss this image set during your project orientation session. Use this presentation to guide the first few exploratory phases of this lesson. Speaker notes aid your presentation, but feel free to edit this document to fit your classroom style. THEMIS stands for the Thermal Emission Imaging System. THEMIS is the camera on NASA's Mars Odyssey orbiter. These images enable your students to become oriented to landforms on Mars. Your MSIP coordinator will discuss this image set during your project orientation session. This lesson supports novice researchers (your students) in developing a Mars research question about their topic of interest. This lesson recognizes that all scientists/researchers begin with a big question in mind. These questions are typically the nebulous "Why?" or "How come?" questions. Once students have a research question, they develop an MSIP proposal. All scientists write proposals to ask permission to do certain mission-specific things. In this case, your scientists (students) write a proposal to ask permission to use the THEMIS camera to take a photograph of Mars. An explanation of why this team should be chosen to take an image of Mars using the THEMIS camera. Students present or submit the proposal to a MSIP Coordinator for review and feedback. The proposal phase is critical to ensuring student groups are collecting the data necessary to answer the question the team intends to answer. Using the THEMIS camera on NASA's Mars Odyssey orbiter, each student team has the opportunity to target an image. This step is typically added to data collected from JMARS in the team research. Teams have the option to target an already imaged area, possibly looking for changes in that surface over time (longitudinal study), or target an area never before imaged (missing data sets). Either way, student teams add new images to the existing Mars THEMIS image database and these images could be used in the future research of other scientists. Targeting typically occurs between the proposal acceptance and the final report phase. Teams will notify their MSIP coordinator when they are ready to target an image. An MSIP coordinator will send the facilitator a targeting link containing 3 days worth of orbits (36 orbital tracks) on Mars. Teams "shop" these orbital tracks and submit their target to the MSIP coordinator. Once THEMIS has taken the image and the Data Archivist in the Mars Space Flight Facility processes it, the MSIP Coordinator completes an Image Download talk with the team in a live image download event on-site. The MSIP final report or presentation is a comprehensive culminating requirement for all student participants. Similar to publishing a scientific paper in a journal, the MSIP final report helps prepare and train students to record their scientific findings and experiments in an organized manner so that future analysis and understanding can be construed from their research. Scientific journaling is one of the most important tasks in which scientists participate. Through this comprehensive requirement, students who participate in MSIP can begin to work as real scientists do. In this report, the students define their scientific question, establish the background information that drives their research, explain the methods that they chose to use to collect their data, and discuss their conclusions. The MSIP Final Evaluation is used as part of the internal evaluation and feedback mechanism for all written reports sumitted for review and publication and also for providing feedback to teams after symposium. This evaluation tool is an excellent way to communicate the requirements scientists will use for presentation and technical reporting to your students. Helpful as examples of prior student work. While MSIP is designed to be flexible to meet your needs, sample schedules help you plan coursework, computer lab access, projects goals and checkpoints and schedule conferences and presentations. These pacing guides provide potential scheduling of daily project activities. This calendar lays out 17 days of classroom work, including days on which access to computers would be necessary. This calendar lays out 25 days of classroom work, including days on which access to computers would be necessary.